A discarded tile may be claimed by another player to complete a winning hand or a set. Only the last discarded tile may ever be claimed. Once the next player has drawn and discarded, the previous discard may no longer be claimed. When one claims a discard to complete a set, the entire set must be displayed as exposed. One may not take the discard into his concealed hand. There are four types of claims: win, chi, pong, kong (big exposed kong). These will be detailed below. One must verbally announce his claims (and also his win and kong declarations). In particular, if one makes no verbal announcement, and discards before exposing the set, it may be ruled as forgetting to draw, resulting in a "short hand". Please refer to Appendix C: "Pronunciation Guide". Calling: A hand which is one tile from completion of a winning hand is a calling hand, and it is said to be calling for the tiles which will complete the hand. Self-draw Win: If a player completes his winning hand by drawing a tile from the wall, this is called a self-draw win. ("Win on Kong" is naturally a self-draw win.) The winner should announce "fu" or "tsumo". When a player wins, he should reveal his entire hand, so that his winning hand can be verified and scored. The three opponents should not reveal their hands or disturb any tiles on the table until they have verified the win; otherwise, should the hand be continued in case of a "false win", the opponent will be held responsible and penalized. In principle, one can win in all cases provided he has completed a winning hand. While there is the "Rule of Same-Turn Immunity" in the "Scoring System" chapter, the World Series of Mahjong does not adopt any "sacred discard" rule or such which prohibits the player from winning with a completed winning hand in certain cases ("penalty tiles" excepted). If an opponent discards a tile which matches a pair in one's hand, one may announce "pung" and claim the discard to form an exposed triplet with the pair. The three tiles which compose the exposed triplet must be revealed and displayed as a set in front of one's concealed hand (in the space between the concealed hand and the wall). One of the tiles should be rotated 90 degrees (to a horizontal position) to indicate which player made the discard: if the upper seat discarded, rotate the left tile; if the opposite seat discarded, rotate the middle tile; if the lower seat discarded, rotate the right tile. The three tiles in the exposed triplet are thereafter locked in the set, and cannot be taken into the concealed hand or rearranged (except be extended into a "small exposed kong"). After claiming a pung, the player discards a tile. Then his lower seat takes his turn and draws a tile. If one's upper seat discards a tile which can complete a sequence with two tiles in one's hand, one may announce "chi" and claim the discard to form an exposed sequence with those two tiles. Unlike "pong" or "win", one may "chi" only a tile discarded by one's upper seat. The three tiles which compose the exposed sequence must be revealed and displayed as a set in front of one's concealed hand (in the space between the concealed hand and the wall). The three tiles should be arranged in numerical sequence from left to right, and the claimed tile should be rotated 90 degrees (to a horizontal position) to indicate that it is the tile discarded by the upper seat. The three tiles in the exposed sequence are thereafter locked in the set, and cannot be taken into the concealed hand or rearranged. After claiming a chi, the player discards a tile. Then his lower seat takes his turn and draws a tile. After announcing "chi", it is permissible (but not recommended) to first discard a tile, and then to reveal the exposed sequence. The "chi" procedure is considered complete only when both steps are finished; until then, the clocking runs against the claimant. The other players should wait for him to display the exposed sequence before drawing a tile or claiming the discard (except for winning). The claimant should first announce "chi", and then after a suitable time (about one second) display the exposed sequence or discard a tile. This way, once he has displayed the sequence or has discarded, the two other players forfeit their rights to claim the previous discard for pong or for kong. If the player did not announce "chi", or if he displays or discards too quickly after the announcement, the other players have the right to claim the discard according to the "Precedence of Claims" rules. Four identical tiles can be declared to form a kong. There are three kings of kong declarations: "concealed kong", "small exposed kong" and "big exposed kong". The claimant should announce "kong". Concealed Kong: If a player has four identical tiles in his concealed hand, he may declare and form a concealed kong with them. One may declare a kong on one's own turn, after having drawn a tile from the wall (or immediately after the deal for East, or after drawing a supplement tile), but not immediately after claiming chi or pong. The player first reveals the four tiles to show that they are indeed identical. Then he displays them as a set in front of his concealed hand (in the space between the concealed hand and the wall). The two middle tiles should be placed face up, while the tiles at both ends be turned face down (to indicate a concealed kong). Then he draws a supplement tile. Small Exposed Kong: If a player has a tile in his concealed hand which matches his own exposed triplet, he may declare and form a small exposed kong with them. One may declare a small exposed kong under the same timing as a concealed kong: on one's own turn, after having drawn a tile from the wall (or after drawing a supplement tile). After announcing "kong", the player reveals the hand tile and adds it to one end (not adjacent to a horizontal tile) of his exposed triplet to form an exposed kong. Then he draws a supplement tile. Note that one must announce "kong" before revealing his hand tile. Otherwise the judge may rule it as a discarded tile, in which case the lower seat may claim it for "chi". Big Exposed Kong: If an opponent discards a tile which matches one's concealed triplet in hand, one may announce "kong" and claim the discard to form an exposed kong with the concealed triplet. The four tiles which compose the exposed kong must be revealed and displayed as a set in front of one's concealed hand (in the space between the concealed hand and the wall). One of the tiles should be rotated 90 degrees (to a horizontal position) to indicate which player made the discard: if the upper seat discarded, rotate the left tile; if the opposite seat discarded, rotate one of the middle tiles; if the lower seat discarded, rotate the right tile. Afterwards, the player draws a supplement tile. If an opponent discards a tile which matches one's exposed triplet, one may not declare a kong with the discard. Once a kong is declared with four identical tiles, these four tiles are thereafter locked in the set, and cannot be taken into the concealed hand or rearranged. Supplement Tile: After declaring a kong, one should take a supplement tile from the "kong box". (Because a kong uses up 4 tiles for a set which is normally 3 tiles, the hand becomes one tile short and needs to be replenished.) 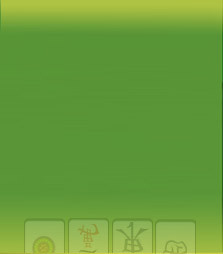 After taking a supplement tile, the player discards a tile. Then his lower seat takes his turn and draws a tile. The player must first reveal the four tiles which constitute his kong to be confirmed by the other players before drawing a supplement tile. Drawing a supplement tile before revealing the kong is prohibited, and may be ruled as a "long hand". Winning on the supplement tile is called "Win on Kong", and is a category 9 pattern which is worth points. "Win on Kong" is considered a self-draw win.